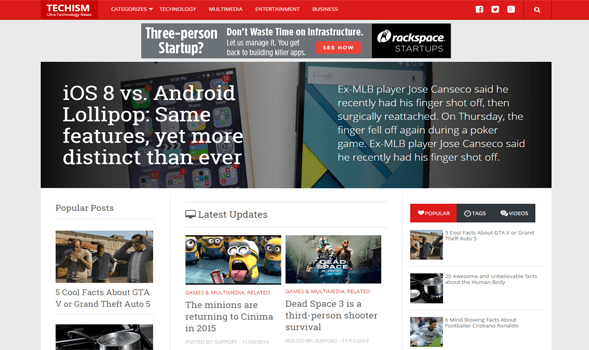 Techism is a responsive blogger template inspired from Mashable and TheNextWeb.com. It is elegant, simple and stylish blogger template created for users who want to run a successful technology, multimedia or news portal blog. With Templateism’s robust framework your blogs not only looks better than the rest of others but also ranks better in Search Engine. With multiple built-in widgets you don’t have to install any external widgets, we have included almost all kinds of different widgets from social media icons to showing featured posts and etc.